The Elo 4200L has reached end of life. We recommend the Elo 4201L as a suitable replacement. 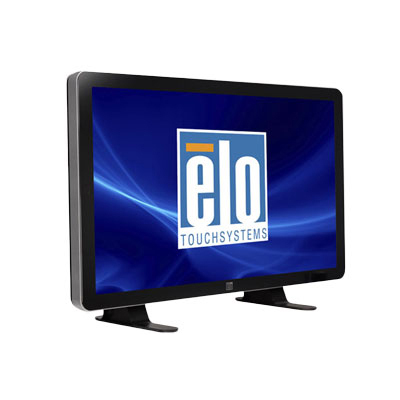 The Elo 4200L touchscreen monitor provides your business with the crisp display ideal for digital signage or other customer-facing informational services. The large display, choice of touchscreen technology, and durable design make this a great fit for a variety of installations. Available with Acoustic Pulse Recognition, Intellitouch surface wave, or even Optical multi-touch touchscreen technologies, the 4200L offers easy use for most customer-facing scenarios. The 42" display runs at a native 1920 x 1080 resolution, ideal for showing high resolution imagery and HD video. If you need a standalone display, such as in an informational kiosk, Elo offers a computer module that inserts into the 4200L, giving you all-in-one PC functionality. The 4200L is built with regular customer use in mind. The all-steel chassis provides a sturdy and stable operating base, holding up to aggressive interaction. 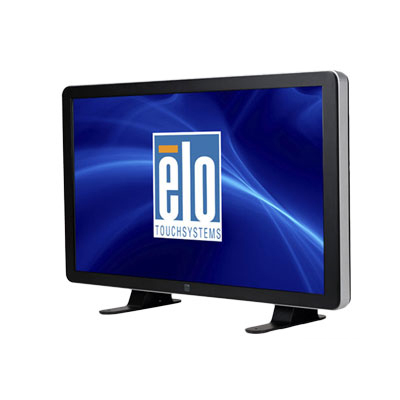 Elo´s touchscreen technologies give the 4200L a great combination of accuracy and reliability, ensuring great use over the life of the monitor. A 3- year warranty comes standard with the ELO 4200L, giving you greater peace of mind with your investment.